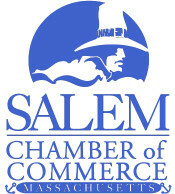 Salem ChamberMail is a marketing program targeting new residents in all zip codes covered by the Salem Chamber of Commerce including the cities/towns of Salem, Danvers, and Swampscott. Ad prices start at $399. This monthly mailer is a professionally printed, full-color, digital publication emblazoned with the Salem Chamber's logo and website. New residents are greeted with pictures of local attractions and historic sites from your area, and a warm welcome from the chamber, encouraging your new neighbors to take advantage of member offers inside. In addition to the mailings, ChamberMail provides the monthly mailing list of new residents for your follow up marketing, and posts the publication on the chamber's website with links to your company website.